I follow the policy of sooner than later in all aspects. That’s wishing you an advance birthday. Your message box is going to get full. So let me start a day ahead. Advanced wishes. Best friend wish a day ahead. Advanced happy birthday. Hence proved I am your best friend. I was so excited that I could not wait for the actual day. So advanced wishes. Advance wishes are to show you how special you are to me as I don’t want be remembered as just another wish. Damage control: Advance wishes buddy. Please do not hit me this time as well. Do save a part of the cake. I will come back to eat them. Advanced wishes. I am always one step ahead of the rest. Advanced birthday wishes to my best bud. At last I have a reason to escape your birthday. Just kidding. Advanced birthday dude. I think this is the first time I will be missing your birthday and I assure you it is going to be the last. Advanced happy birthday wishes to my dearest friend in the whole world. Many more happy returns of the day. Don’t worry I will surely be there with you on your birthday. Just making double sure that I am the first person to wish you this year. You have helped me get a wonderful job by helping me prepare for it. But unfortunately it has come in the way of me spending time with you on your birthday. Really sorry for not being there. I am very angry at you dude. How can you celebrate your birthday when you know I won’t be there in town that day? Anyways I forgive you. Advanced happy birthday. Enjoy it to the core. I feel so sad for you, as you are going to throw two parties for your birthday this year. Obviously you have to give once again when I am in town. Happy birthday buddy. Starting of this year’s birthday in a different way. 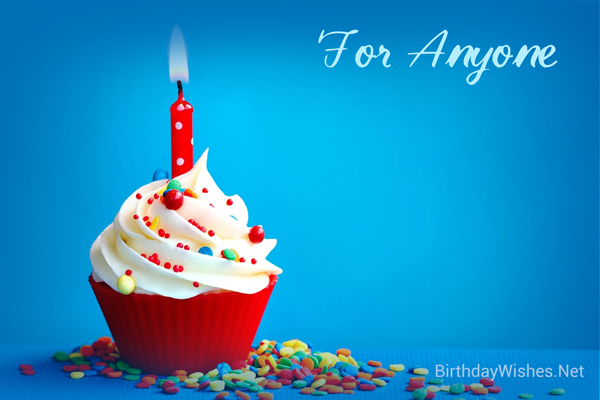 I am going to wish you in advance as well as a belated one. So that you know the value of me not wishing on the day. Lessons learnt from the past thought me one thing. Prevention is always better than cure. I know my habit of forgetting birthdays. So advanced birthday wishes bro. This time you can’t beat me for not wishing. Going on a holiday buddy. I will celebrate your birthday with a better party along side the beaches and more fun. I shall also raise a toast on your name that day. Advanced birthday wishes. Creating a new trend for you. Birthday week celebration. Advanced birthday wishes dear. Only 7 more days to go. And each day you will get new gifts from me. Next year we will celebrate the birthday month as well. Many more happy returns!! Got surprised eh? I know it’s not your birthday yet. Just giving you a shock. Advance birthday wishes bro. Now where is my treat? Give it in advance as well.